Unique Mother's Day gift idea or use as favors for a girl baby shower. 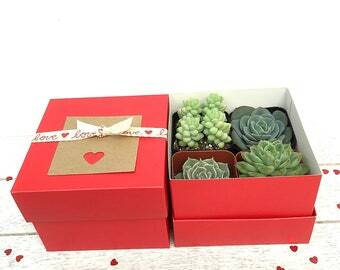 This listing is for 1 succulent gift box! 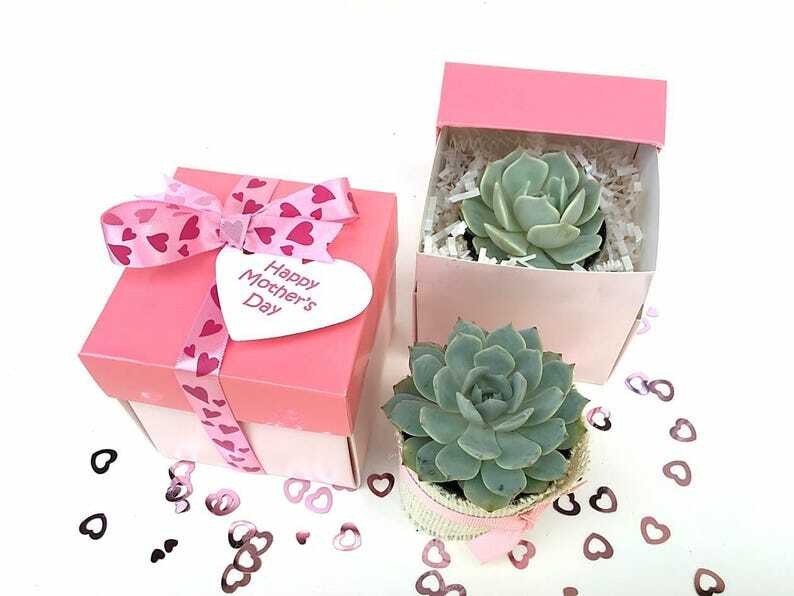 ♥ 1 well established, rooted succulent in 2.5" nursery pot - we will select a beautiful Echeveria for you (may vary from picture). 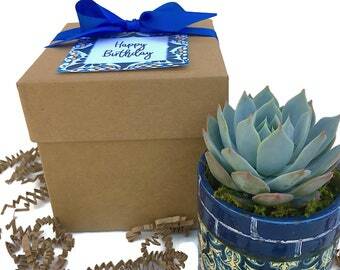 ♥ Succulent is wrapped in burlap, tied with pink ribbon and placed in a light pink gift box with darker pink lid. The gift box is wrapped with pink ribbon with hearts (as shown). Gift box is approx. 3.5"x3.5"x3.5". The little guy had to sit in the snow for a few days until the roads cleared for the recipient to get to it but I purchased the heating pack with it and it’s doing just fine!! I was kept up to date by the seller on when the purchase was going to ship out and it’s estimated delivery was right on track even with the snow storm! Love! Thank you!